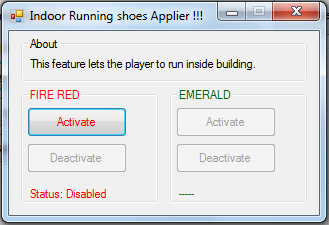 I am a programming student(Its only been a month since I started programming though)..
so I came up with this tool which I called "TL's Quick Enhancer"
Fire Red and Emerald for now! I am planning to stick with these two only, as most of the hackers use only these bases for making a rom-hack. I was able to make the tool to do these thing in the very first stage by modifying the original codes and studying the codes a bit more. But to do these of course I will most probably need some time to learn the programming language and of-course some experties help..
Well for the fact that if ever any one want to help me in developing or want the codes to be improved then the codes are available in my github... "click here"
well the codes I used to release this tool are under the "my code"
I even attached the initial release with the OP. Last edited by Alice; 2nd March 2018 at 10:58 PM. 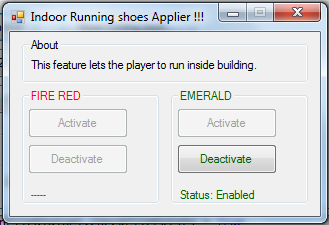 Thanks for taking the time to create such an interesting and useful program. It appears to address some of the trickier and more unique ways to modify these games. If I learned enough programming, this would be like something I would probably make. Nice job, keep it up. 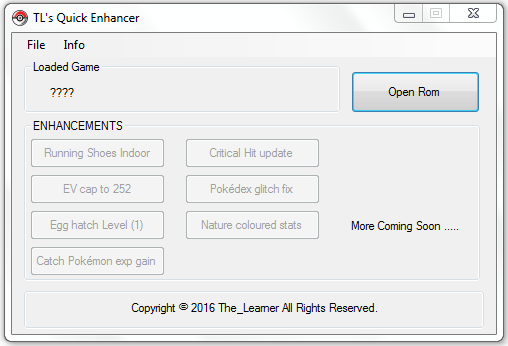 Also I tested it out and if you need help with getting the "Catch Pokémon EXP Gain" working with Emerald so you can implement it, I can make a patch (.IPS) to send you with the changes I made, or a document showing the necessary changes (I'm not too familiar with GitHub project files at the moment), since I managed to get it working properly in that game. It was a long time ago but I remember it proving to be a little trickier than it looked and there were some issues with it off the bat. I had initially used the method someone had posted in a very old forum topic somewhere. Last edited by Sky0fBlades; 12th January 2017 at 07:04 PM. I realized it would be easier for both of us if I just copy-pasted a tiny document I put together (in the Spoiler). 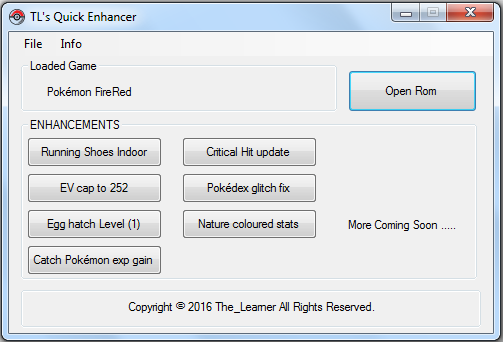 As noted in the document though, the PokéDex text (after level-up) issue when using the EXP hack is still a problem in Emerald. 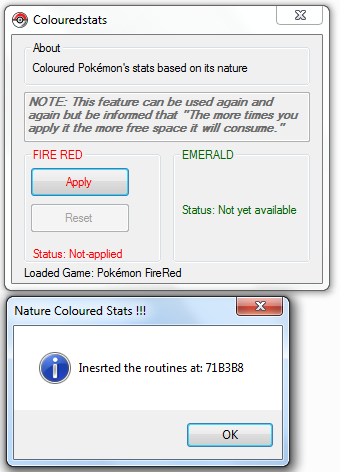 Also with the IVs display for FireRed, might it be possible for it to be ported to Emerald too in a future release? 3)	Change both pointers @ 0x565B4 and 0x5666C from "84 BD 2D" to a pointer to the offset for the second set of bytes (prevents skipping of exp increase if caught Pokemon is new to the PokéDex). 4)	Then change the bytes at 0x3DE7C to say B5 DE 03 08 (to allow evolving after catching). 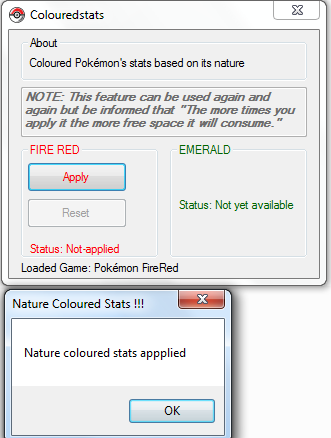 NOTE: Just like with FireRed, the problem with the PokéDex shifting text after a level-up still exists however. Judging by the huge update you've made it's come a long way already, and it's more than just useful at this point. I've already added it to my main tools folder, it's that good! So many features I wish I'd known about. Very nice splash-screen too, quick and clean. Last edited by Sky0fBlades; 16th January 2017 at 11:52 PM. still its ok with these codes for now. 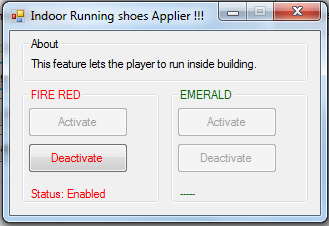 so the only thing I can do is apply the features developed by others in my tool, but not myself develope some finding..
so yes if anyone will ever port the iv display to emerald then I will apply it in my tool..
Hey TL, about that new Repel system you are planning to add to your tool (not the BW one)... I'm curious, how does it work? Though I do understand if you want to keep it as a surprise for when it's released. Last edited by Sky0fBlades; 25th January 2017 at 07:48 PM. 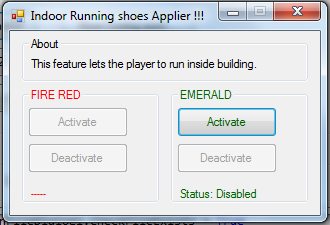 But with more advanced than the bw repel system..
Its even open for making requests.